How far would you go to marry the man you love? 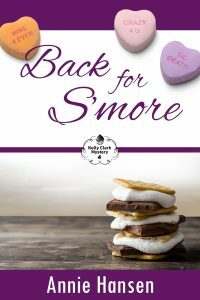 In the fourth book of the Kelly Clark Mystery Series, Valentine’s Day is approaching, and the quaint river town of Geneva is gearing up for a romantic, cozy celebration amidst the snowflakes. Love is in the air, especially for Jack and Kelly, who find true love in each other’s arms. There’s only one little problem that stands in their way: Jack’s estranged, pregnant wife, Callie, who’s back in town after disappearing for years. The divorce should be simple. Callie is pregnant with her rich, new boyfriend’s child, and very clear that she wants the divorce from Jack so she can re-marry. But lost paperwork, a mysterious death within the law firm handling the divorce, and Callie’s strange behavior have Jack and Kelly questioning if this is a string of bad luck or no coincidence at all. Two women are after the same man. One madly in love. The other, a stalker on the edge of madness. Is Kelly Clark willing to risk her life for love?